All blacktop and concrete surfaces OB. On or over the road left of the 1st fairway is OB. The small swamp by basket #1 is OB. The creek behind #1 and alongside #2 is OB. #2 also has a mando between the electric poles. Also, over the fence on #2 is OB. Over the football stadium fence on #4 and #5 is OB. On or over the rock ditch on #6 is OB. Over the baseball filed fence on #7 is OB. Course ONLY available outside of school hours and functions. From Huntington; WV-527 across the river. Merge onto OH-7 S and go 7 miles to the Solida Rd exit. Turn right on Solida Rd and then make an immediate left on Sand Rd. Go about a mile to a right into the school. Park in lower lot. 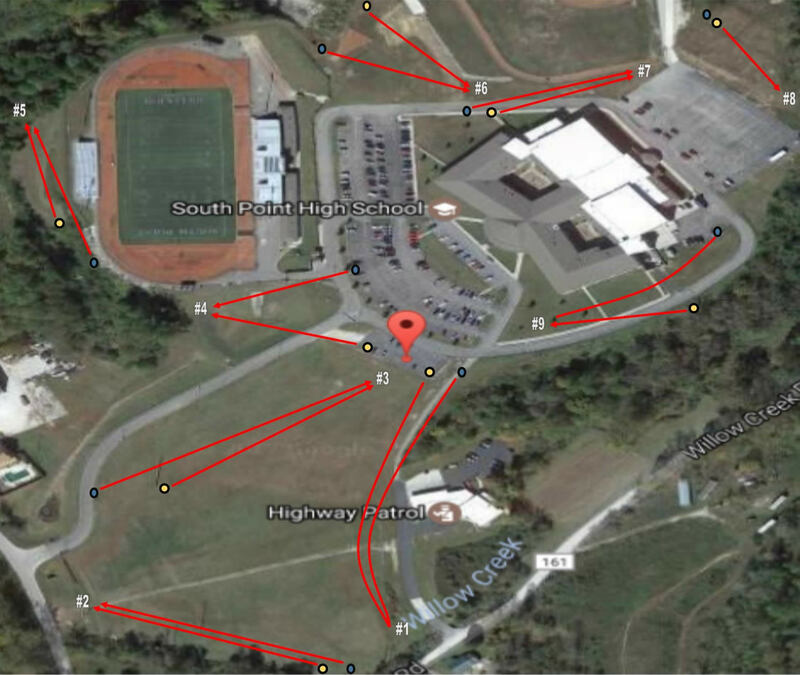 Have you played at South Point High School? Be the first person to review this course!